Wales happens to be one of the most preferred places on the earth where people would love to live, work or travel to. So if you are planning a travel to Wales, UK this year, make sure you make the most out of it. Whether you are a backpacker or stylish suave traveller, Wales has a lot to offer everyone. With its rich heritage and culture this place certainly boasts of its popularity all around the world. If you think you would only be experiencing the rich old historic places then you are quite wrong. 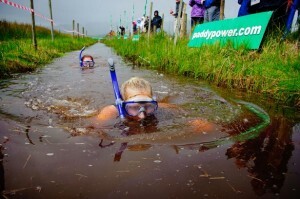 Wales has some of the best adventure sports that also include the historic bog snorkelling. Once you are in Wales there are a lot to see. It is probably not possible for anyone to finish it all in a single trip. You need to come back again and again. So if you are on your maiden trip to Wales makes sure that you not miss out on the most important places. Here are some of places that are a must see when you are visiting the royal country of Wales in the United Kingdom. Conwy – This is one of the medieval towns of North Wales. There are around 200 buildings inside this castle. Cadair Idris – Locates in the South Wales these beautiful mountains will take your breath away. Aberystwyth – Located in the Mid Wales this is one of the prestigious University surrounded by a picturesque town. The Wye Valley – When you walk past the Tintern Abbey, you would be engulfed by the peaceful and green pastures of this place. While there is an endless list of amazing places in this heavenly country, you can check these above places if you are on a short trip this time. Taking part in some of the local events makes your travel to Wales, UK worth remembering. SO if you are in this country you should not miss out in their historic bog snorkelling that is just too much fun. Just check the time when this sport is played while planning for the trip. You can even pack your flippers, wetsuit and snorkel gear to take part in this event.